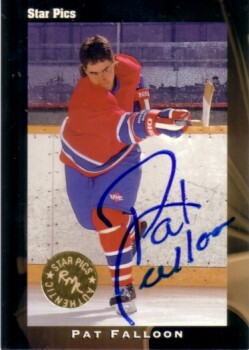 1991 Star Pics certified autograph card of former NHL top draft pick Pat Falloon. Certified with the Star Pics gold sticker. Very hard to find. ONLY ONE AVAILABLE FOR SALE.